A photographic installation in the form of a faceboard with hole to put the face in and be photographed. 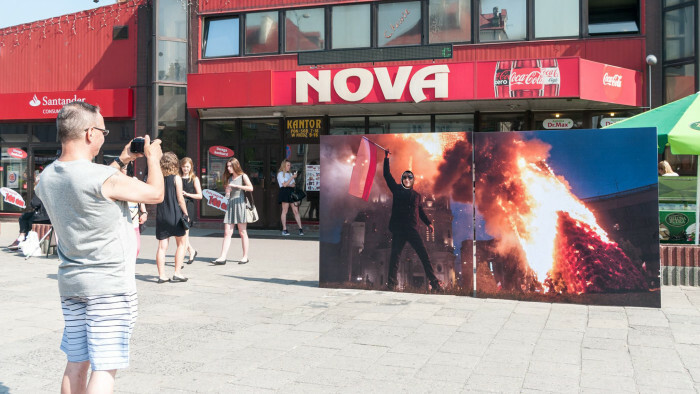 A photograph printed on the faceboard shows the Rainbow [Tęcza] in flames on the Savior Square [Plac Zbawiciela] in the Polish capital of Warsaw. Rainbow was an artistic installation made by polish contemporary artist Julita Wójcik. It was an artistic construction in the form of a giant rainbow made of artificial flowers. 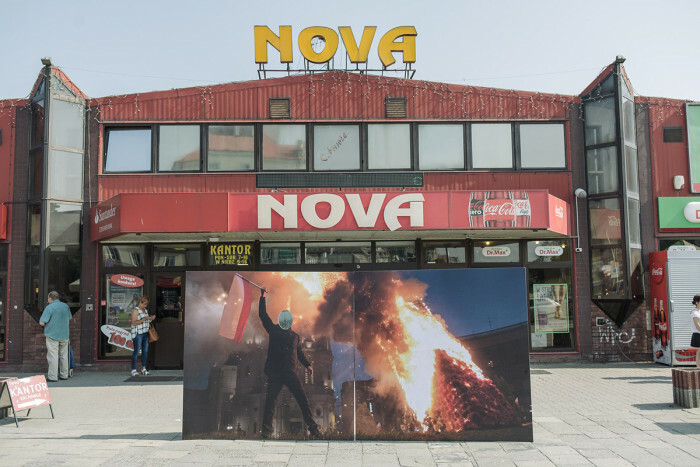 The construction was vandalized several times, generating significant media coverage in Polish media, usually in the context of LGBT rights in Poland. A photograph printed on the faceboard shows the demage of Rainbow during marches on Polish Independence Day on 11 November 2013. 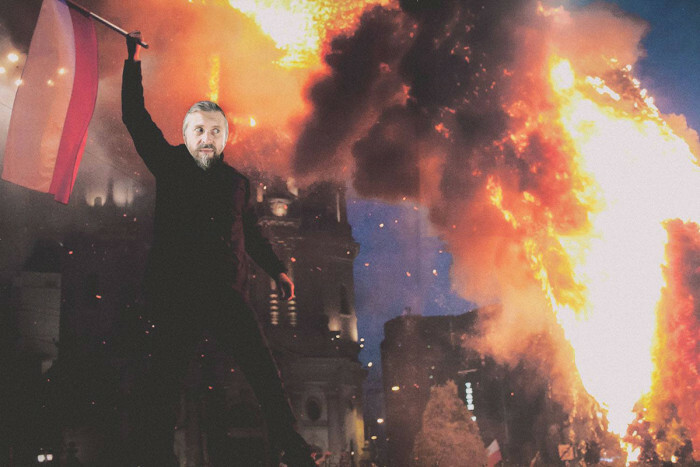 The November 2013 incident occurred in the background of a wider riot by right-wing nationalists, who clashed with police and vandalized other parts of the city as well. The author of photographs documenting the event is Nina Rybińska.